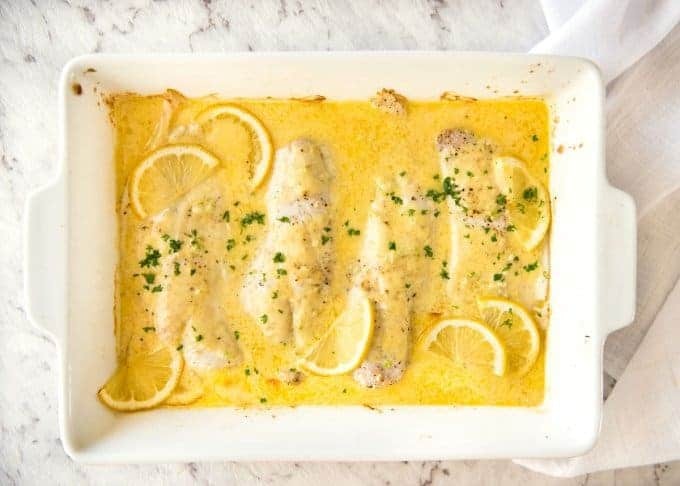 Dinner made real easy: on the table in 15 minutes, this Baked Fish with Lemon Cream Sauce is all made in ONE baking dish! 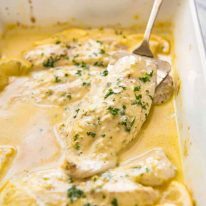 Yup, just throw it all in one pan, bake it, and you end up with a tender juicy fish in a creamy lemon sauce. The sauce is especially delish because the juices of the fish mingles in with it while it’s baking. It’s like a sauce made with the best stock ever! 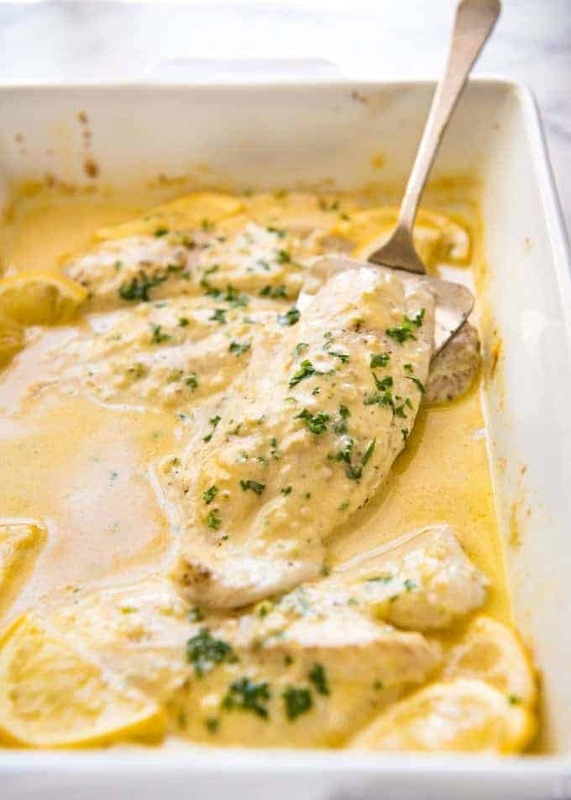 Here’s a great effortless way to cook fish in the oven which comes with a creamy lemon sauce! 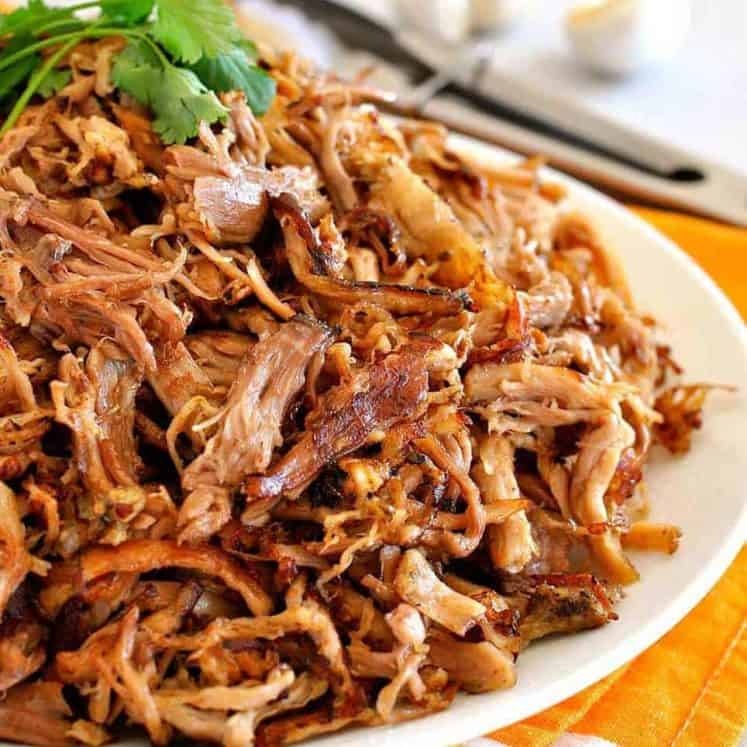 It’s the sort of recipe you can make no matter how hectic your household is, or on a lazy Sunday night. 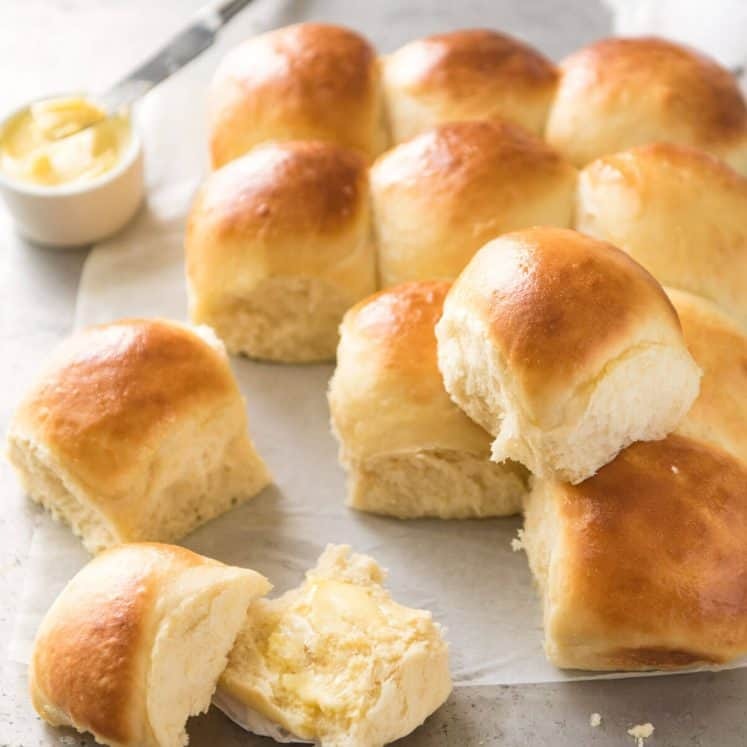 Bake – no flipping required. 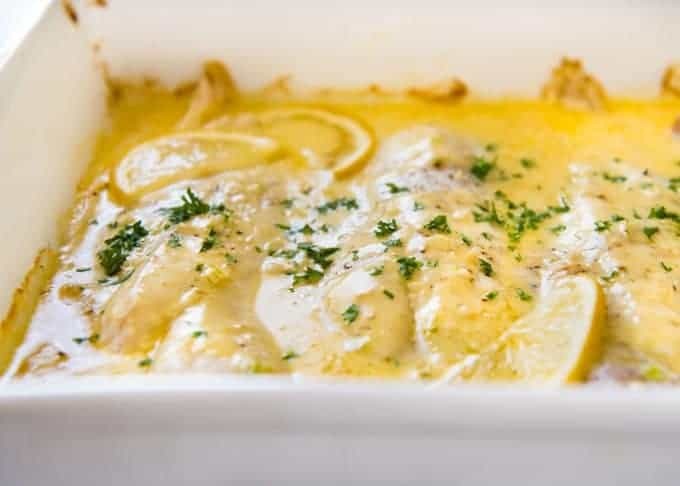 And out comes this – tender baked fish fillets with a beautiful lemon cream sauce, a light sauce that goes perfectly with fish! It took a handful of goes to get it right. As expected, getting the right sauce consistency was the main thing. Not just about adding a thickener – mustard in this case – but also heating up the sauce in the microwave before pouring it all over the fish. The reason this makes a difference is that cold cream and mustard mixed into melted butter = thicker sauce (because the butter partially solidifies again) so more of it stays on the fish while baking. This results in less pooling of the sauce in the baking dish which = watery sauce (i.e. ratio of sauce mixing with fish juice was lower). Fish leeches an amazing amount of liquid when it bakes. You will be surprised. The recipe implies that the sauce is rich but actually, it is not! I describe it as kind of light and fresh, yet a bit creamy. The mustard and cream are the thickener, so it isn’t watery. 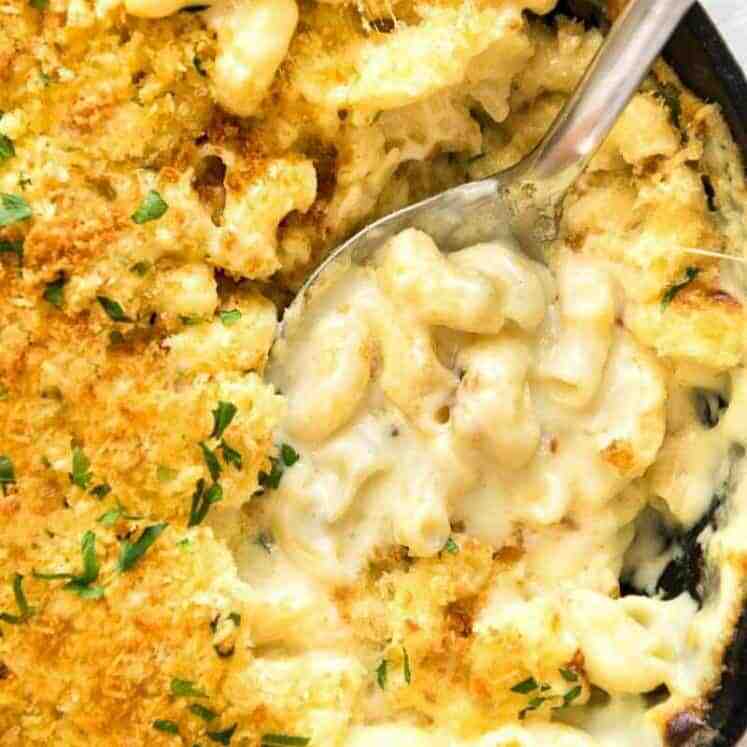 It really is so delicious, you will be thankful there is a decent amount of sauce because it’s perfect for mopping up with bread or spooning over mashed potato! 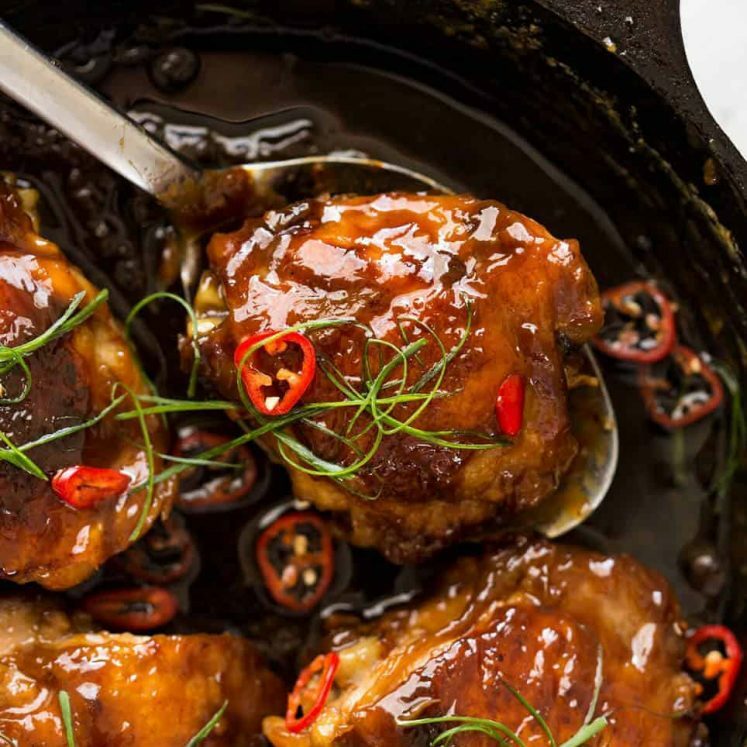 It takes longer to heat up the oven than it does to prepare this recipe. Watch the video and see! (It’s below the recipe). Magic Broccoli – the best roasted broccoli ever! 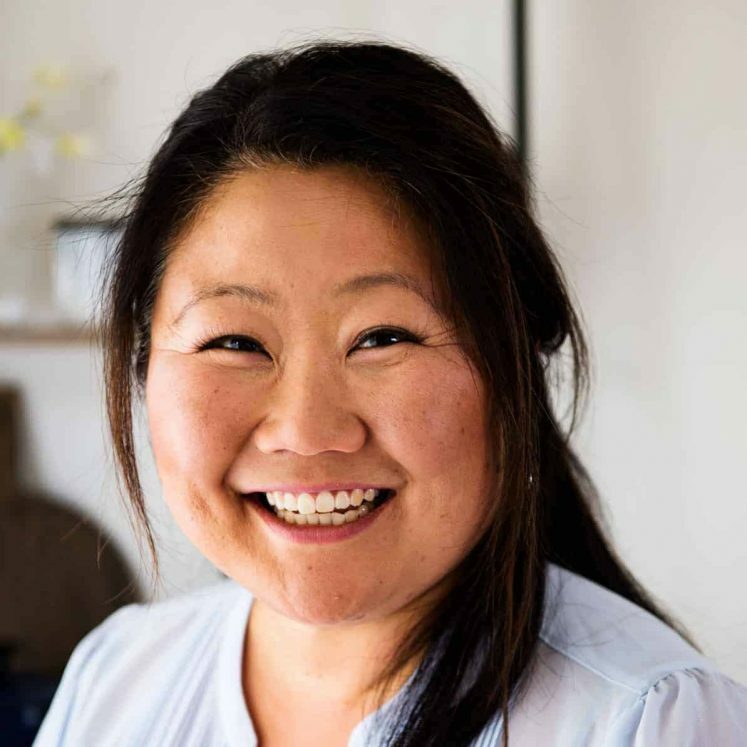 Love how putting these videos together in fast forward not only means fast efficient cooking tutorials, it also means you can barely – just barely – see my Baby Hands. ??? Recipe video above. 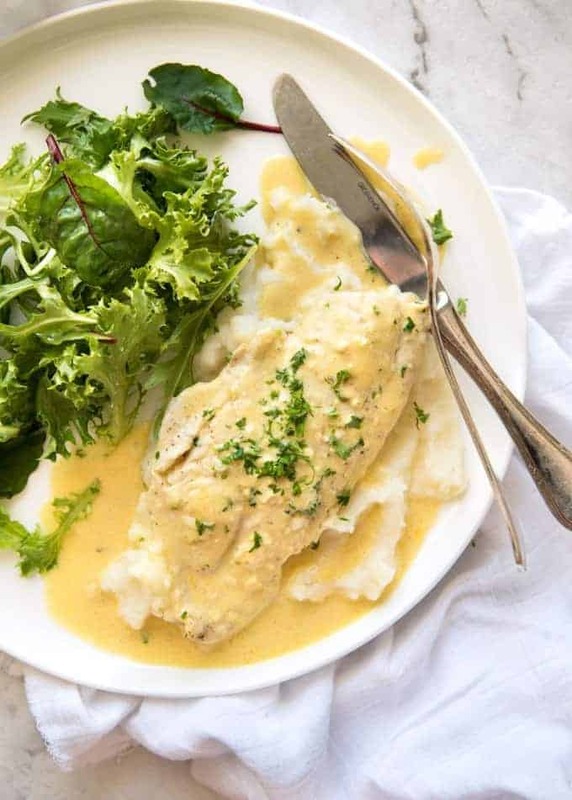 A fantastic quick-fix dinner - baked fish in a lemon cream sauce, all made in ONE PAN! 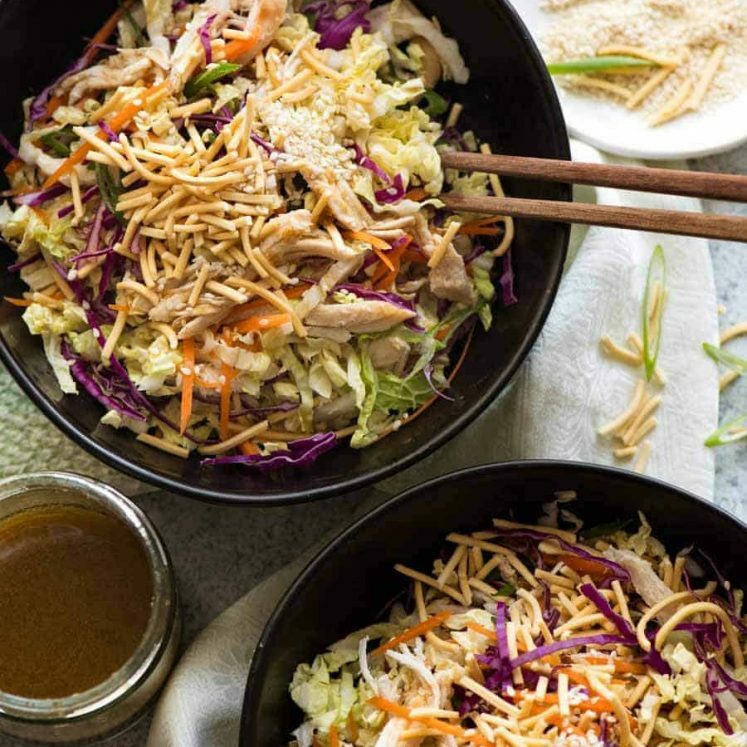 Don't let the short ingredient list fool you, this tastes so good! The key to the tasty sauce is the fish juices that leeches out while baking and is essentially the broth for the sauce! IMPORTANT: See Note 1 for fresh vs frozen fish. Preheat oven to 200C / 390F (all ovens). 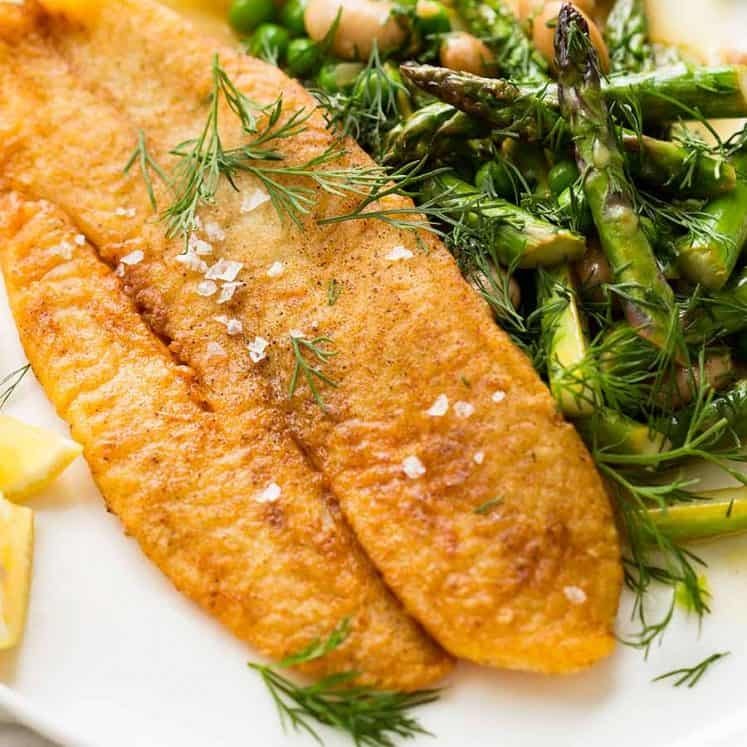 Place fish in a baking dish - ensure the fish isn't crammed in too snugly. See video below recipe or photos in post. Sprinkle both sides of fish with salt and pepper. Place butter, cream, garlic, mustard, lemon juice, salt and pepper in a microwave proof jug or bowl. Microwave in 2 x 30 sec bursts, stirring in between, until melted and smooth. Sprinkle fish with shallots, then pour over sauce. Bake for 10 - 12 minutes, or until fish is just cooked. Remove from oven and transfer fish to serving plates. Spoon over sauce, and garnish with parsley and lemon wedges if using. 1. Any fillets about 1.5cm / 1/2" thick will work great with this. I have only tested this with thinnish fillets, like the Silver Dory (I think!) pictured that are quick to cook in the oven. I haven't tested it with thicker fillets like salmon - query whether the longer cook time and more space around the fish in the baking dish means more liquid required for the sauce. If you use thawed frozen fish, PAT DRY with paper towels to remove as much excess water as possible. Chances are, your sauce will be a little thin for your liking because frozen fish drops so much more liquid than fresh - see Note 4 for how to fix this. Or use a larger roasting pan - a metal one: heats up faster, and more exposed space between fish = faster sauce evaporation. 2. If you want to go healthier, the cream can be substituted with evaporated milk. If swapping with light cream, increase mustard by 2 tsp. 3. 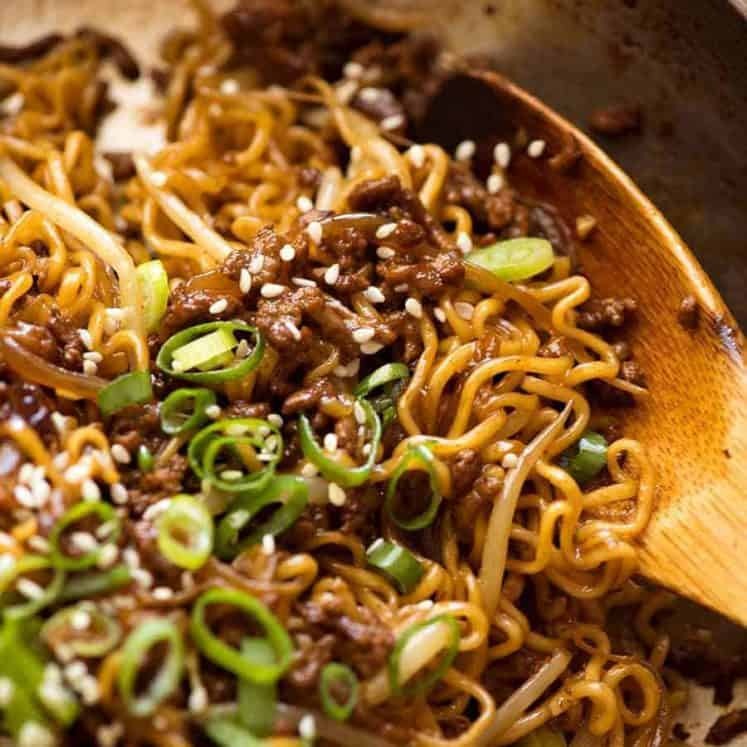 A little sprinkle of finely chopped scallions / shallots (or eschallots or even onions) really adds a little something-something to the sauce. But this can be omitted. 4. 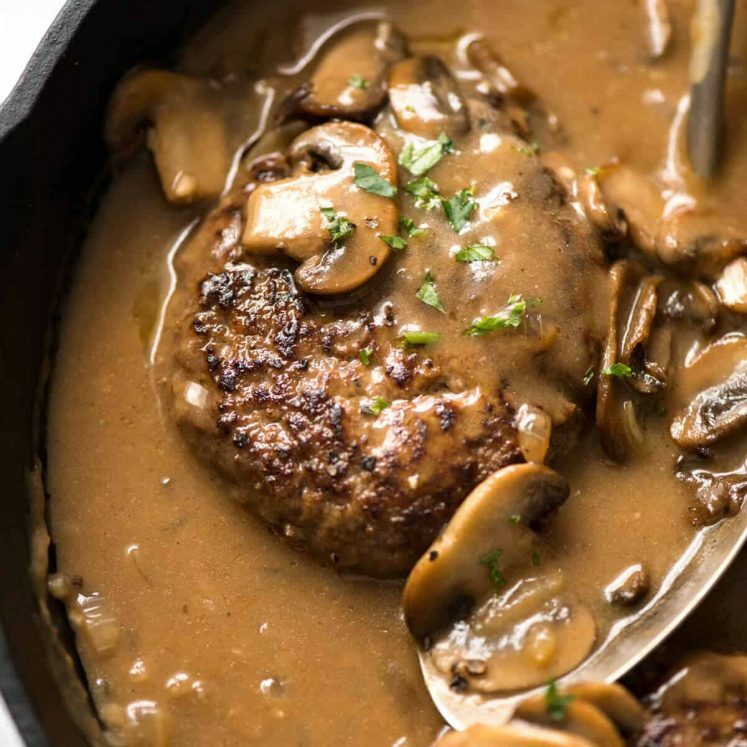 This sauce is not intended to be thick and gravy-like. 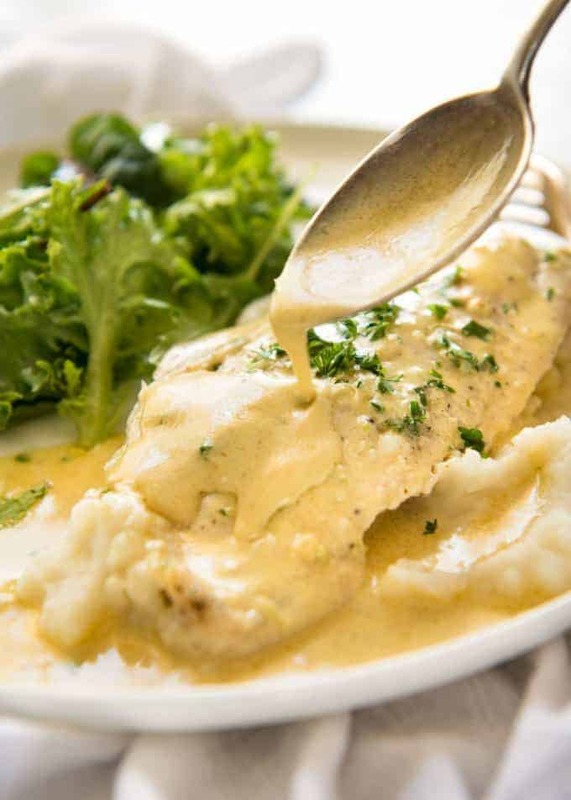 It is a light lemon cream sauce, suited to fish. However, it should not be watery. The actual sauce consistency will differ depending on the fish that you use - different fish drop different amounts of water while baking. If you really want to thicken the sauce, just take the fish out of the baking dish and return the pan to the oven for a few minutes. Without the fish, the sauce will thicken quickly so keep an eye on it! 5. 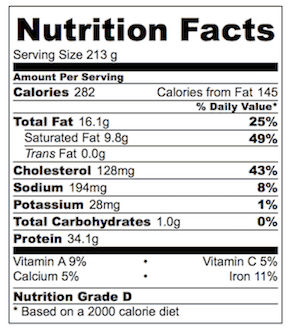 Nutrition per serving, assuming 180g/6 oz white fish fillets like John Dory/Tilapia are used and that all sauce is consumed. Yes, here on RecipeTin Eats, it’s Meat Free Wednesday, not Meat Free Monday. 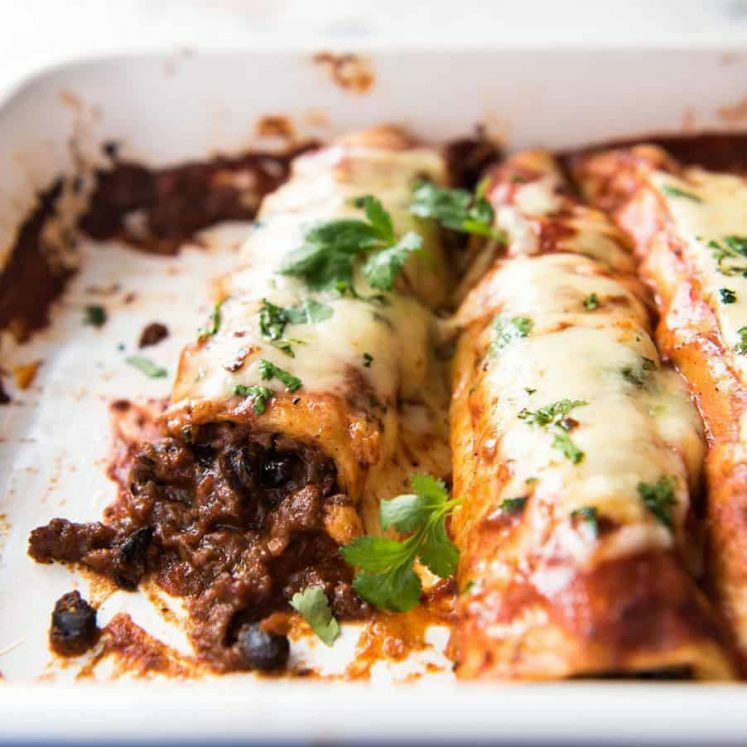 Because I do my major grocery shop on the weekends (never mind that I work from home and can do it any day of the week, I can’t shake old habits), I like to have fresh-meat meals early in the week, so I typically go meat-free in the latter half. Hence Meat Free Wednesday, not Monday. And certainly not Friday because Friday is treat day. I started Meat Free Wednesday because partway through this year, it dawned on me that I’d completely failed on my New Years’ Resolution to share more “green” things and vegetarian dishes. So I undertook to share one Meat Free Meal For Carnivores every fortnight. 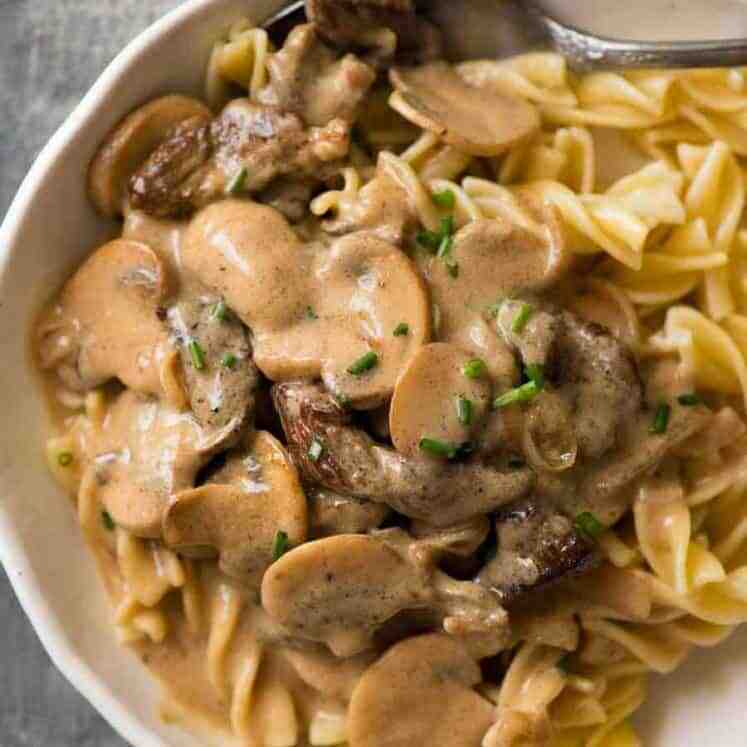 2 weeks ago today, it was this Mushroom Pasta. Before that, it was Cauliflower Chickpea Curry. You can browse my entire Meat Free Collection here. From a little camping trip last weekend – getting smashed in the waves at beautiful Jimmy’s Beach, NSW Australia. He’s a sucker for punishment, that one. 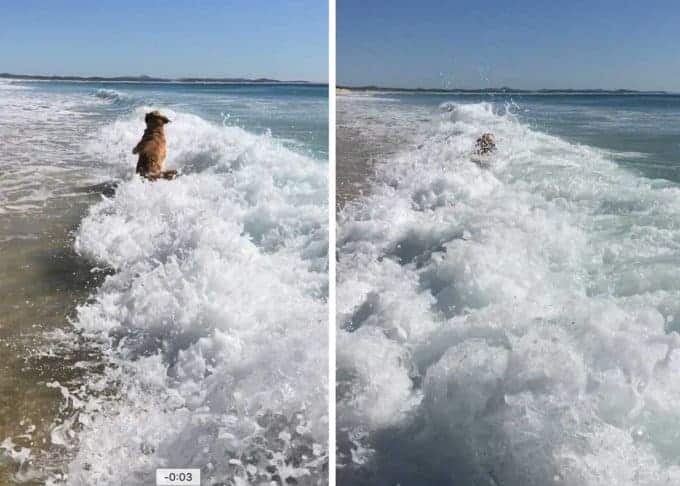 I really have to keep an eye on him to make sure he doesn’t get swept away by a rip!! All the way from Montréal, I can only say: AMAZING! Since I had 6 filets, I doubled the recipe for the sauce, forgetting to double the quantity of butter. The sauce turned out perfect nonetheless with half the amount of required butter. 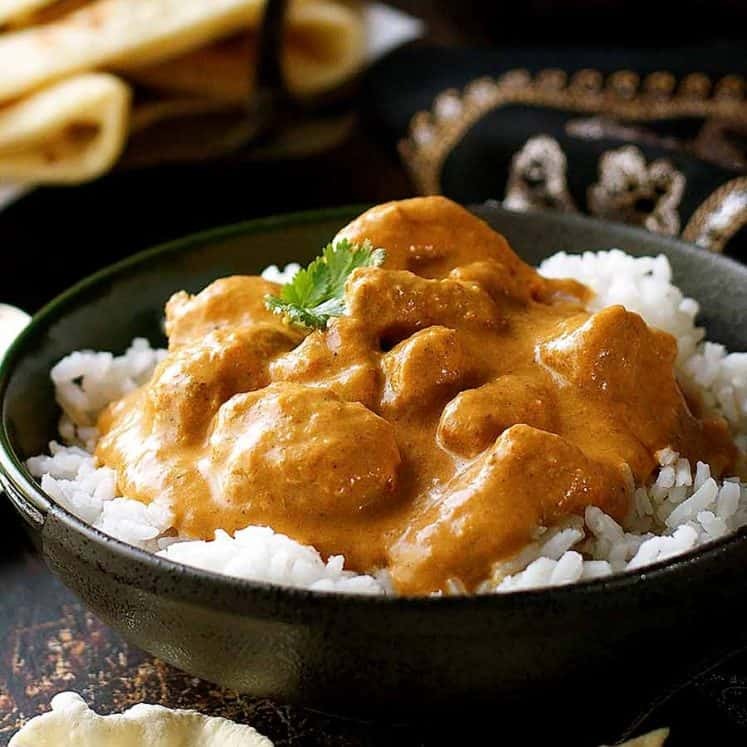 I’m not sure if I sould adore you, Nagi, or curse you, because from now on, I’ll want to drop the “lighter” tomato-based sauces I normally make in favour of this luscious cream-butter-lemon sauce!!! Awesome to hear Marilou!!! I’m so glad you loved it! This was delicious, easy, and the sauce was perfect consistency. Made it with tilapia and lactose free half and half. I also doubled the recipe (large family). Super yummy!! Oh that’s great to know about the lactose free half and half! Thanks for the feedback Mary! A great dinner meal I use spanish mackerel and use both onion and shallot. My son loved the cream sauce I served it with white rice. I will be making this again maybe with salmon 😊😊😊👍👍. 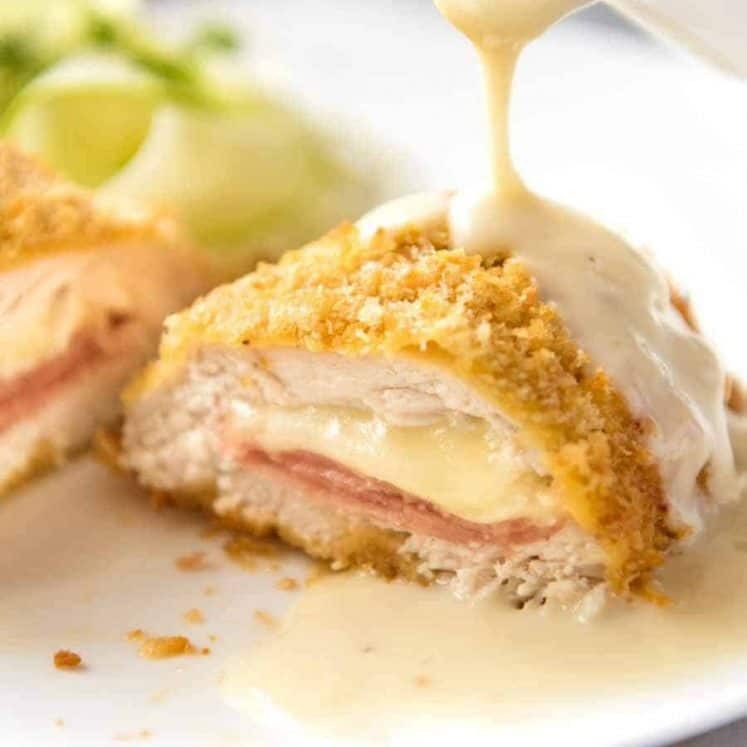 I loved this recipe, however I did make the sauce over the stove instead of microwave, and I added some stone ground mustard and Worcestershire sauce. Also put some blanched broccoli florets under the fish before it baked. Delicious! Sounds fab Ian! So glad you enjoyed it! A great meal made it spanish mackerel I used both onion and shallots. My son 10 enjoy the cream sauce I served it with white rice will be making this again maybe with salmon👍👍👍😊😊😊. 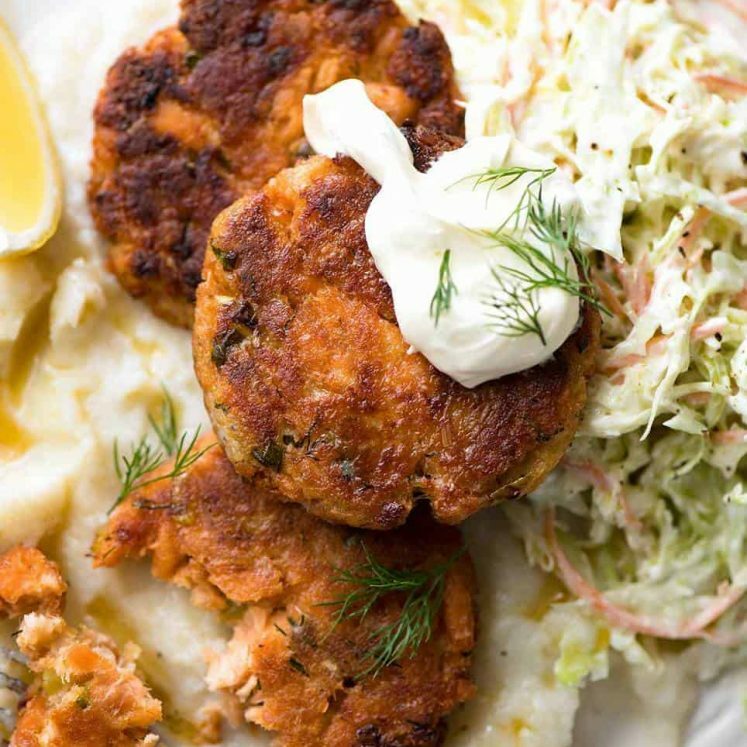 This fish recipe is so easy and so delicious!! I’ve made this three times and it’s now on our regular rotation. It’s great with roasted Brussels sprouts and cauliflower rice. The sauce even makes the cauliflower rice delish. So happy to have found this recipe!! Great Sarah! I love Brussels sprouts!! 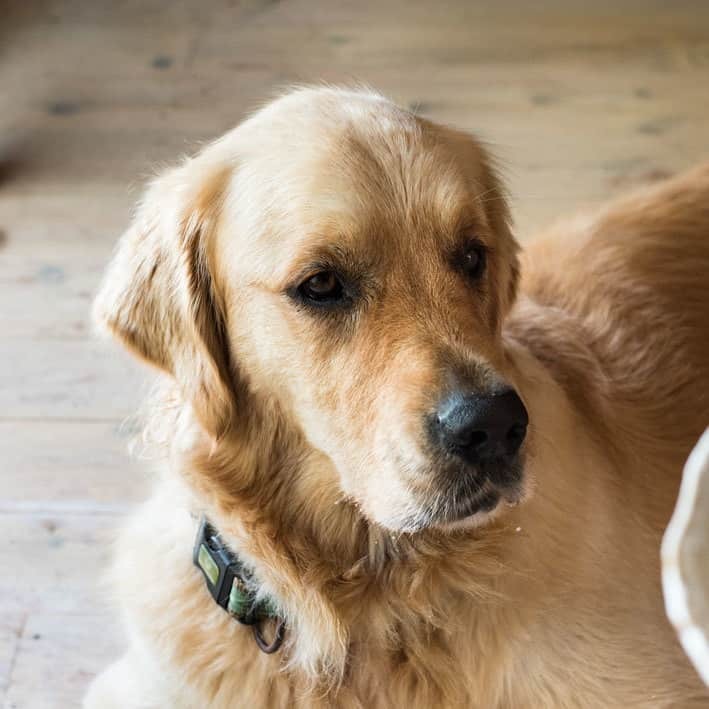 Do you think I could use salmon or shrimp for this? It looks amazing! I made this last night for a dinner with friends using Halibut. All I can say is WOW! It is perfect. Not heavy but light and delicious. I used convection cooking and the sauce did dry a bit so next time I will either double the recipe of use conventional baking. So glad I stumbled upon this gem and this blog. SO GOOD. 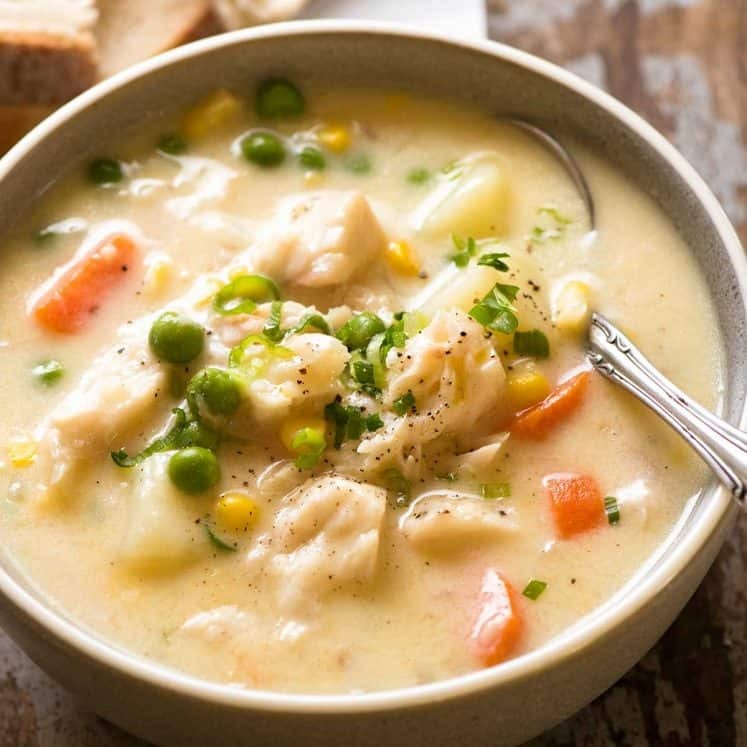 It’s hard to go wrong with this list of ingredients, but that said, it’s the perfect ratio of buttery/creamy richness to the savoriness and tanginess of the other ingredients and the fish. We used turbot (with the skin on) and it was absolutely melt-in-your-mouth delicious. I imagine any kind of flaky white fish would lend itself to this recipe. So simple! SO GOOD!!!!! Thank you! Another winner! So simple, but soo delicious. Thank you Nagi! I saved the rest of the sauce that the fish cooked in to eat on potatoes or something! I try new recipes when my wife travels. Some she hears about, many stay secret. I went fishing this weekend and caught several Georgia whiting and instead of my go-to fish tacos, I tried your recipe. Wow! I definitely have a new favorite and I cannot wait to prepare it for my wife. Guess I’ll have to go fishing again! I needed a fish recipe for friends who don’t eat meat. 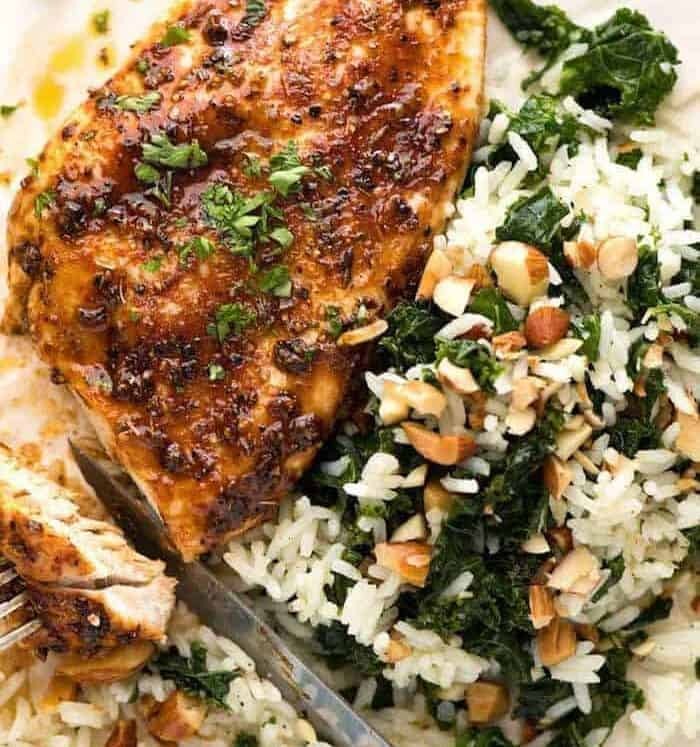 I served this with your kale rice and the results were amazing! Many compliments especially from those who make fun of kale…they thought it was parsley! It is the first time I have made your recipes, but certainly not the last. Hi Nagi. 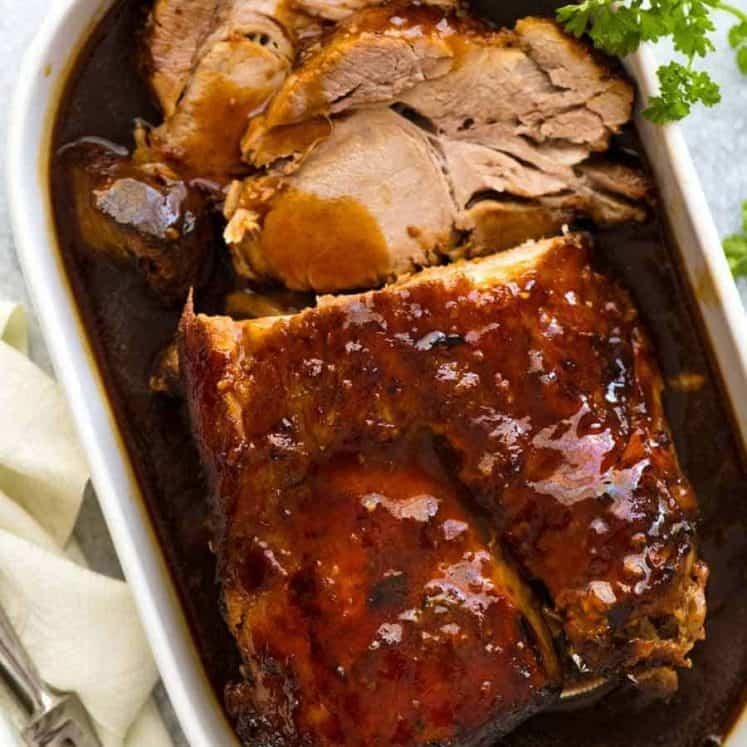 I found your recipe whilst looking for a different sauce and wow I wasn’t,t disappointed the favours where just mouth watering so easy to make too this has to be my all time favourite sauce for my fish. And I will be for sure making this again and again.